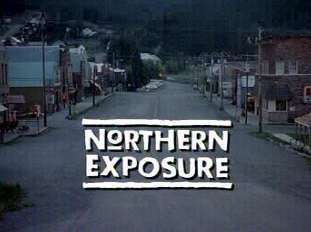 Quickly becoming addicted to Northern Exposure, I am thrown back to a time when things could be done on TV that seemed important. Music videos were dark and made intelligent social commentaries (think of Alice in Chains’ “Rooster”, or Pearl Jam’s “Jeremy”). 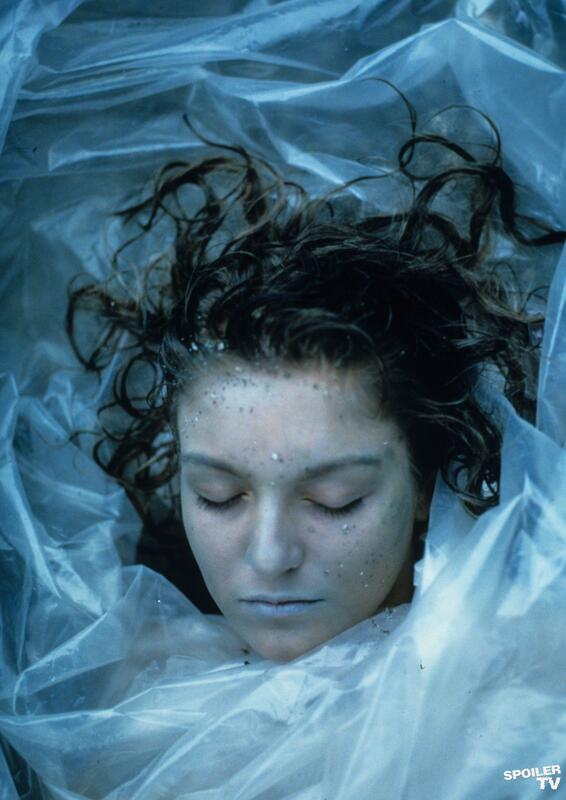 TV shows could be weird, and people would still watch them (think Twin Peaks). 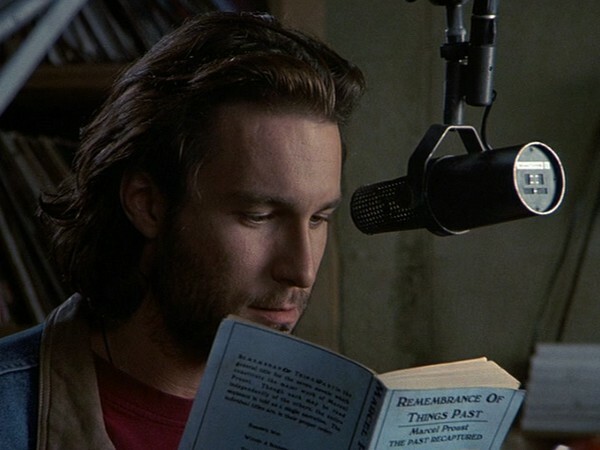 And as I mentioned in a previous post, Northern Exposure could brilliantly break the fourth wall between characters and audience in order to allow us to step back and take a look at the issues of the day. I wonder if things like this could still work? Sure, I believe that we are in some sort of new Golden Age of television, where the quality of the product is at an all-time high. Cable shows are racking up the awards, and you don’t need to look too far to find a deep, intelligent drama on the air. There are just so many good shows right now, that it is difficult to complain. But these shows tend to exist in their own worlds (as brilliant as Game of Thrones is, it really isn’t saying tons about the way we live our lives in 2014. But, I absolutely adore the show). I thought of this while watching Season 3, Episode 6 of Northern Exposure, entitled “The Body in Question.” In the episode, the gang from Cicely discover a frozen body and diary, indicating that the mysterious person was someone close to Napoleon, and it is revealed through his writing that Napoleon was not actually at the Battle of Waterloo. Simple enough, right? Another quirky adventure for the Alaskans to solve before going on with their lives. But, as this show tends to do, it took it far further than I would have expected for a 90’s network show. It had a debate. And it was amazing to watch. The conflict centered around whether or not the town should reveal Pierre (their body) to the world, and take advantage of the tourist influx it could cause. They debated if they should reveal that history may be false, in that Napoleon was not even present for his greatest and most famous defeat. This would literally change history. Of course, it was Chris, the existential radio DJ, that brought up the idea of the metaphysical debate on the validity of what Pierre could reveal. Do we want to change our past, the stories that have developed over the years and have truly defined who we are, as individuals, and as a nation? He states that his life would be no different if Napoleon wasn’t at the battle. But it would change things for so many people, because that is what we know, and a part of who we are. He discusses the comfort we get from our stories, such as George Washington cutting down the cherry tree. If that never happened, our lives would be the same. Or would they? It was great to see characters discuss these types of things in the middle of a show that is mainly lighthearted. And the audiences responded, I assume, since the show continued on for years after its third season. I miss that. That there can be a moment on TV that goes beyond entertaining you. That there is a part of it that can make you think, and make you wonder. That maybe you watched that episode and debated with your friends the importance of our history, of our stories, in shaping our lives. A great episode from a great series. Added on to the great debate that transpires at a town hall meeting, the episode ends with Chris reading Proust on air. Over the holidays, I have time to pour through several seasons of whichever television series I desire. I already wrote about my experiences with Homeland Season 2. Perhaps I was the most excited about delving back into the 90’s, the era of my youth, to get a couple of years under my belt of a show I was too young to care about when it was on TV. 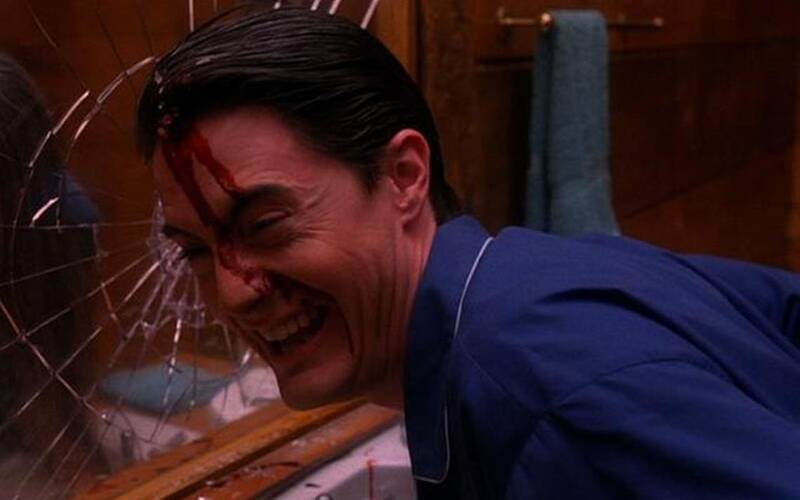 My love for 90’s television needs quenching every now and then, and even I realize that it must go beyond my annual re-watching of Twin Peaks, or My So-Called Life. I wanted to get into Northern Exposure, the fish out of water show about a New York doctor who is basically forced to work in Cicely, Alaska to pay off his student loans. Two days and two seasons later, I love the show. There are so many great, quirky things about it, that it goes beyond your typical TV show. It is much smarter than it would originally seem, and this came to a head while watching Season 2, Episode 6 (“War and Peace”). In this episode, the show did something I had never seen before. I thought that a show being socially conscious and not only existing within the borders it had created for itself was a bold and interesting move. I really appreciated this as a viewer. It gave the audience credit for being an audience, and gave us credit for knowing that this was not the real world that we were watching, but that, in fact, there was a real world that existed outside of our television sets. Well played. There are so many other things to enjoy about this show. The best parts, for me, are the highly intellectual radio DJ, Chris, who takes time to read Whitman and Tolstoy over the airwaves, much to the pleasure of his fans in town. For a town under 900, one would not expect them to appreciate this, but they adore Chris and respect his philosophical and literate views on life. There is also Ed, a teenager who knows his way around town, and loves Woody Allen while desiring to become a screenwriter or filmmaker when he gets older. And Maggie, the tough and sassy bush pilot who obviously becomes the love interest for the show, who has a curse where all of her previous boyfriends have died in odd fashion, including freezing to death on a glacier or being hit by a falling satellite. There are six seasons of this show, and I am excited to see where it goes. There is a certain amount of predictability with the character arcs, things that I know will happen. But there are so many interesting and quirky secondary characters, that I am very much interested to watch the rest and see where they are taken. This show was originally recommended to me by my tattoo artist, and I pass along the recommendation to those who have a soft spot for 90’s TV. Oh, and to satisfy my Twin Peaks nerdiness and obsession, there is an episode in Season 2 where they make direct reference to the show, apparently spotting the Log Lady through a viewfinder while the music changed to a somber, Peaks-inspired tune. Brilliant.